Lately I have been having some trouble with buffering between my HTPC server and client devices, now my kids are older the demand on the network has grown considerably, particularly streaming video which is what everyone seems to want to do. Its a bit of a surprise, as I guess I thought that with Gigabit everywhere I would never have a problem. I don't think its the server, which has plenty of power and memory. I have drawn a lovely picture of my network in its current configuration and where I think the bottleneck is, if anyone who understands networking has a chance to have a look any comments appreciated..
Is there a tool I can use to see if there are / where are the bottlenecks? 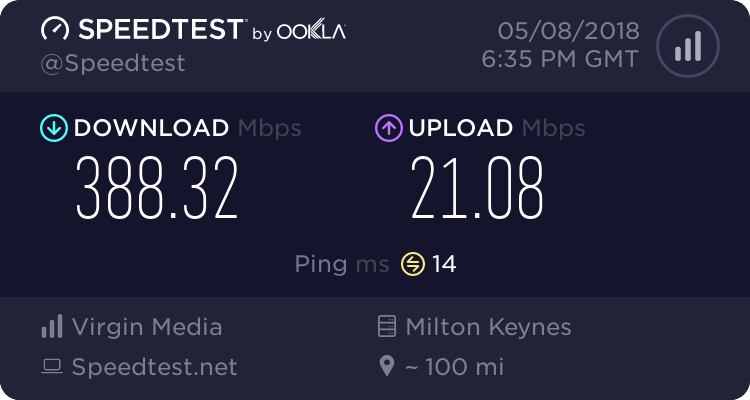 Its not really consistent to be honest but I only really notice it when I am watching TV on a client, very occasionally I will get buffering - which seems weird because its all local to my network. 1) wireless.. It has I improved a lot, with amazingly good theoretical performance, that will sometimes even be seen in real world performance. But in demanding or hostile environment, it never come close to being a substitute for wired lan. 2) hardware failure... I don't know whether your switches would be classified as 'consumer grade' but if they are, they are likely stuffed full of aluminium electrolytic capacitors with a design life of a few months to a year or two. Failure mode often manifests in high error counts, with retransmissions that impact performance of connected equipment. Just my opinion, based on personal experience that may or may not be typical. QoS I suspect can solve this. Also yeah 5ghz wireless AC exceeds 100mbit ethernet comfortably even with its inconsistent performance it tends to bottom out over 100mbit. Thanks for the thoughts, I think I will focus on replacing the old switch first and then start looking at my server - what would people recommend as an 8 port Gigabit switch suitable for home use? I found this review on Tomshardware which suggests that the Netgear's GS308 is a good choice - its also super cheap on Amazon. Is there any benefit (for me) in getting a managed switch like this Netgear GS108? Any reason why I would need a managed switch? Displays the number of normal unicast packets received or transmitted on the port. Displays the number of normal broadcast packets received or transmitted on the port. Displays the number of flow control frames received or transmitted on the port. Displays the number of normal multicast packets received or transmitted on the port. Displays the number of the received frames (including error frames) that are less than 64 bytes long. Displays the number of the received packets (including error frames) that are between 64 bytes and the maximum frame length. The maximum untagged frame this router can support is 1518 bytes long and the maximum tagged frame is 1522 bytes long. Displays the number of the received packets (including error frames) that are longer than the maximum frame. Displays the total number of the received or transmitted packets (including error frames). I'm currently using a netgear GS116 and would also be interested in the benefits of a managed switch. Chunkers, I wonder if it's your HTPC that's struggling, have you looked at disc through put, cpu usage etc? Also, as sevenlayer states, cheap devices are not built the same, so deprecation is expected. Good question, yes I have looked at it and I think you are right to be suspicious. I don't see anything obvious other than I notice that since the Windows 10 upgrade a new LAN driver has been issued which I have now installed. It is an i5-2500 PC, 8Gb RAM running Windows 10 and with a quad tuner DVB-T2 card installed. Typically it runs at less than 5% CPU occasionally spiking up to 20%, memory use is usually around 25%. I have been running it for a couple of years and when I originally put it together I tested it recording 8 simultaneous streams and it coped easily. It could be disk I/O that's the problem, what kind of setup do you have there? Do you have antivirus or anything else the could be using the disk heavily? You can go into the resource monitor and view the disk i/o. Thanks John, for a more in depth explanation Chunkers might find this useful. Just looking at the drawing, if lengths permit then I'd move LAN 3 and LAN 4 from the router onto the switch. Keep the switch as the centre of your network. Can you make any sort of estimate of the loads that your video streaming puts on the network? For example is six streams each of 20meg (megabits/sec)? I will have a look at what diagnostics my router has to show data rates as I think it would be useful to see how much the HD streams use. One question : Does all data get routed through the main router on a network like mine? I always assumed that all traffic goes via the router which is why I thought it would be better to have the server on the main router (not the switch) to avoid having the link between the router and the switch (LAN 5) having to cope with double the data rate for each stream i.e. up to the router and then back to the client each time ...... is this wrong?